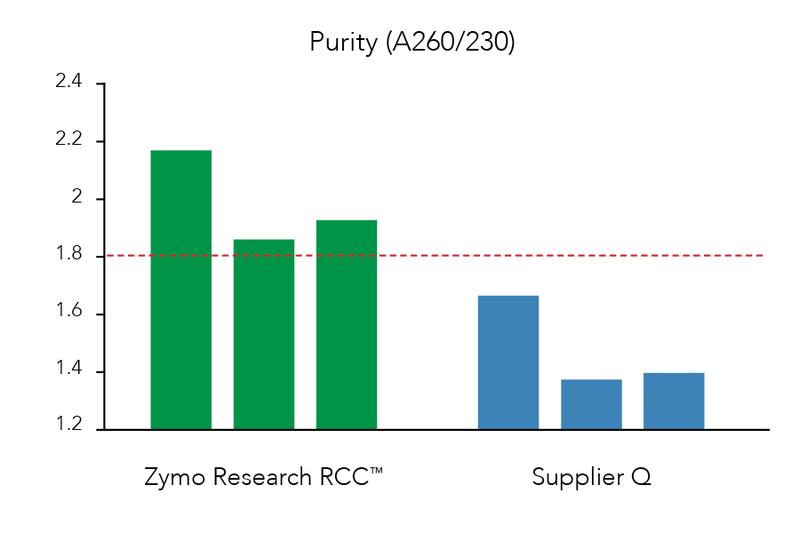 RCC provides higher yields and more consistent recovery when compared to the Supplier Q kit. 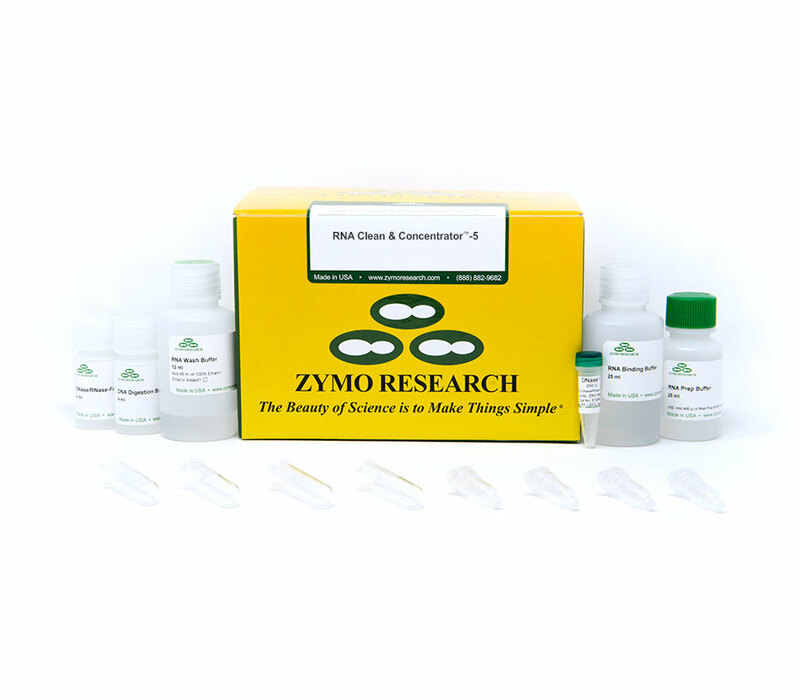 Based on cited journal articles, 67&percnt; of all RNA Clean & Concentrator (RCC) kits are used for library prep, and 52&percnt; of the the same set of citations are used for illumina protocols and workflows. 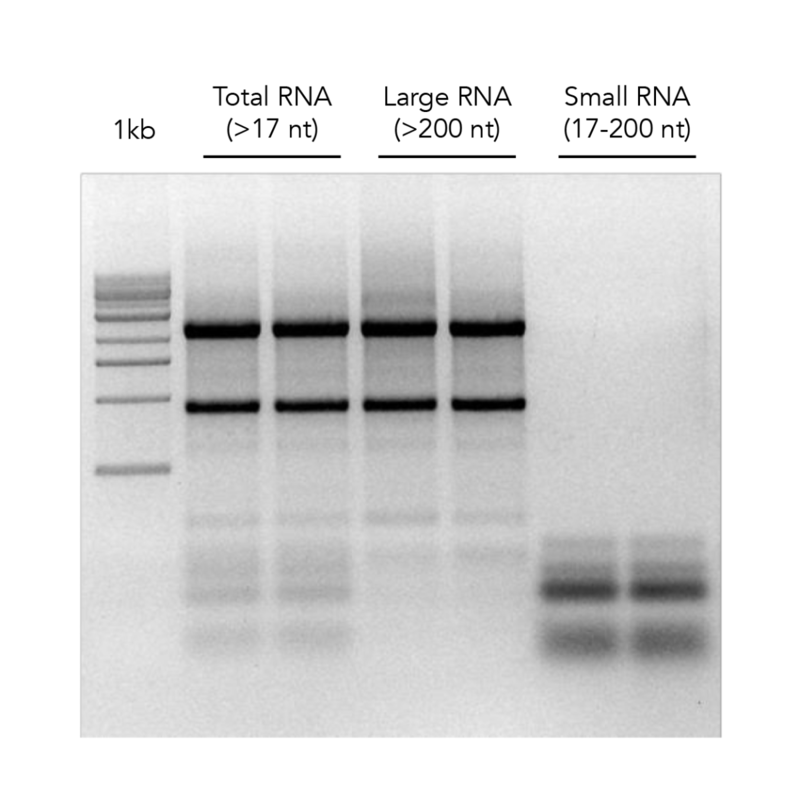 RNA was cleaned-up using the RCC kit and a Supplier Q kit (n&equals;4). 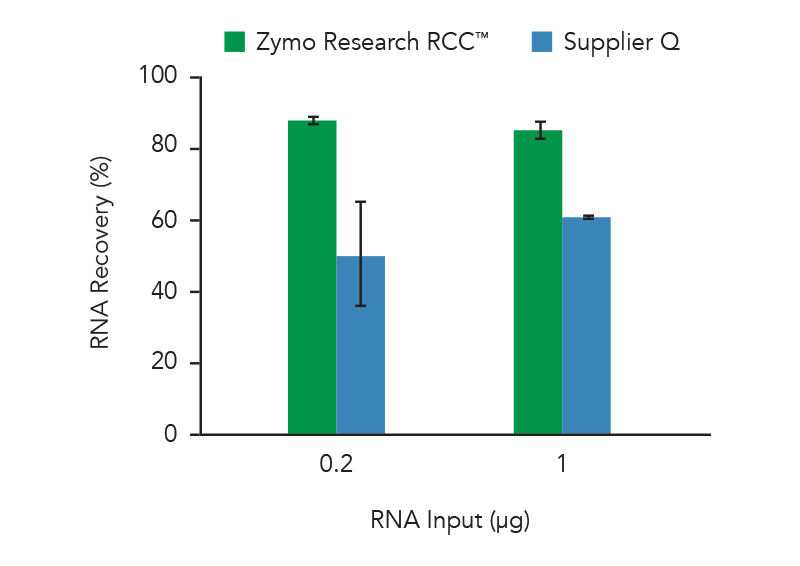 RNA purity (measured by A260/230) was greater than 1.8 for the RCC kit but not for the Supplier Q kit.